Quilt Size: 60½” x 78½”. Bed Runner Size: 20½” x 82½”. Lantern Play is a fun, strippy quilt featuring two different Lantern Blocks; Small and tall Lanterns. 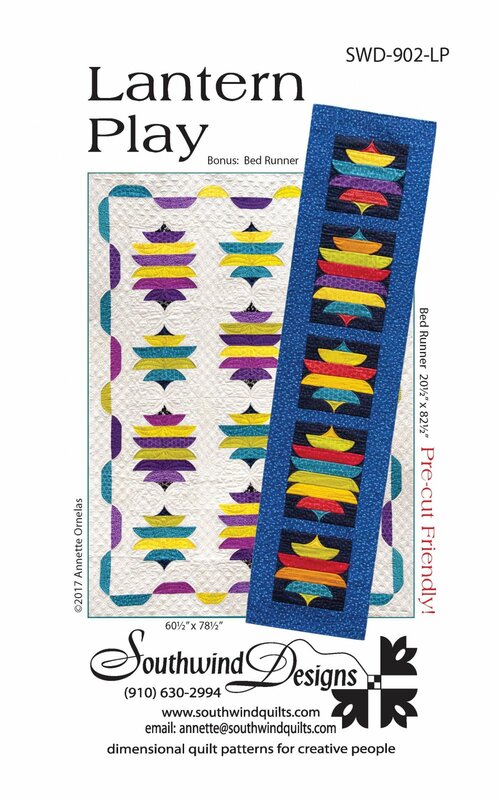 This quilt is pre-cut friendly and works well with 2-1/2" pre-cut strips.